...and the Work In Progress design team gallery is up and groovin'. And, shoutin' out a bit here, I was asked by Trish to be her guest this month and it was a great treat. These kits were packed with so many inspirational goodies. I enjoyed the process of putting some layouts and projects together for her. You can see them here, and she may just have a few kits available as well. Run and get them! When I first discovered Work In Progress this past spring, I knew I wanted a chance to design on her team. So this was a little dream come true to do just that. Your layouts look great. Trish's kit are wonderful-aren't they?!?!?!? Congrat's on being choosen to guest design! Told you her kits were fab! ;) You did an awesome job!!! 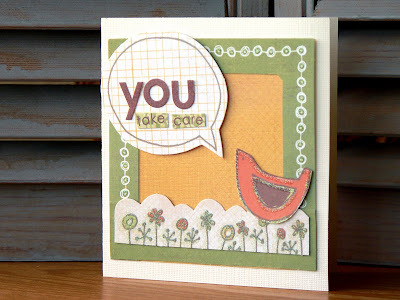 Your style is right up the WIP style alley :) I love your projects and cards. Jamie--you are a total DOLL. I love your work and find your style to be completely inspirational!! Thank you for all you have done with the kit--above and beyond anything I ever asked of you. I love it ALL and will be lifting...again!! 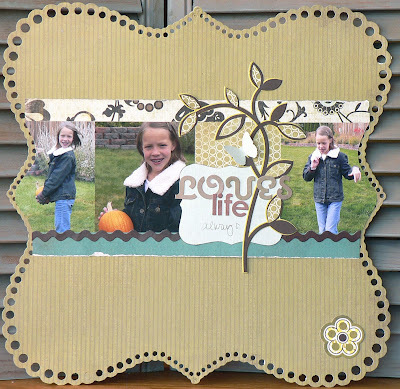 you did a fab job as the guest designer this month! you said that i inspired you, but girl...you are so inspiring me with this work! love it...so glad Trish asked you to join this month!! Congrats on GDT!your work is fabscrapilicous love the card that is just freaking rocking!